Honesty is an offensive policy! Honesty, offense and humor makes the right combination. The talk was all about imaginations of different honest situation with help of memes from Facebook page of “Khabees Orat” and how honesty is taken as offensive policy instead of best policy. Lubna shared her story of how honest she is being towards society through her page in a very interesting way. 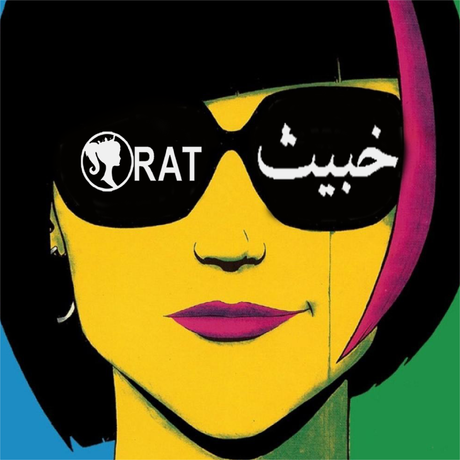 Khabees Orat is a Pakistani online fictional character - A bold desi woman with a sassy mouth and attitude that everyone finds unbelievably relatable. This fictional character was created by an Islamabad based girl in 2015 with an idea of introducing someone who actually says it all. She is witty, undiplomatic, rude, straightforward, loves to offend and most amazingly she is a woman. In countries like Pakistan, societies have been designed in a way where woman are supposed to be decent, quiet, cute, blushful and mannerly. This is the society where women who wish to live by their rules, upset the status quo and do not conform to the standards of morality set by society, have to live under the label of “KHABEES” because that is what society identifies them as. To cater to this idea, a unique style of making memes was selected where vintage and retro pictures of English women from 1950s and 60s were merged with witty Urdu lines. The Urdu language on memes limited it’s audience to Pakistanis and with the Facebook following of 1 Million, Khabees Orat is considered as one of most creative and honest pages. Khabees Orat has its own range of product merchandises as well.